Bowling is a fun game to play in both real life and in video game from, so I thought this would be a fun game to give a shot. 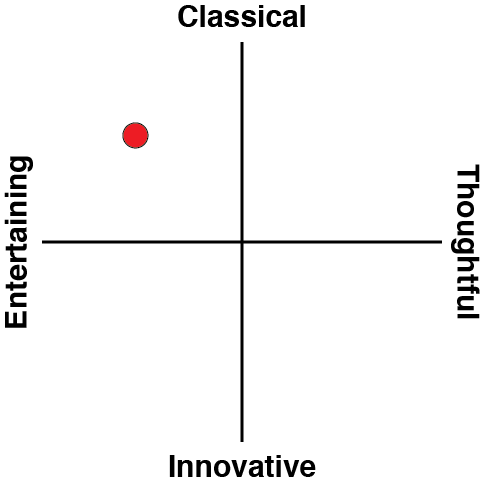 It's not so bad, though there are better examples of the genre out there, and nothing about this package is essential. Related reading: There are quite a few bowling games on the Nintendo 3DS. 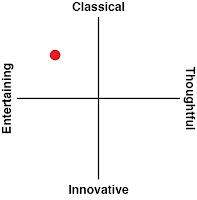 Here are our reviews of some of them. 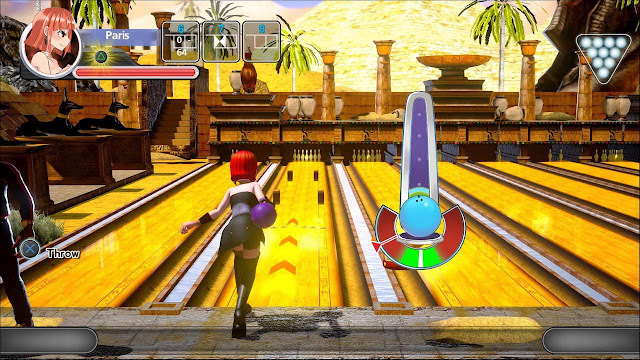 Crazy Strike Bowling has a handful of game modes and a handful of characters to pick from. I will start with the game modes. There are four modes. The first is a classic exhibition, which is your normal game of bowling. Crazy exhibition is a game of bowling where you can pick up power-ups and use a character specific skill once you build up an energy meter by hitting pins. There are also obstacles to content to with in this mode. One of the more fun game modes if you have a friend to play with is battle mode. In battle mode, you and the other player play using the same lane facing each other; meaning if you time things right you can hit their ball with yours. You can play this mode like a classic bowling game or as a fantasy which is the same as the aforementioned crazy mode. That party game mode is Crazy Strike Bowling's real winning feature, but while it's a lot of fun, playing against the computer AI gets dull, and quickly. Even putting the AI on hard difficulty, I found it very easy to win. The last mode is challenge mode. In challenge mode, you are tasked with doing a specific thing like getting so many strikes in a row. In the absence of having a friend to play with, this is where you will spend most of your time. Completing these challenges will reward you with new items for your bowlers such as costumes or new balls. All but challenge mode can be played with local multiplayer so if you have some friends over it can be fun to play or to play with your family if you have children. The game also supports PlayStation Move but at this time I do not own a PlayStation camera so I am unable to review that feature. But the controller works just fine anyway. The gameplay is very easy, and will be quite familiar to anyone who has played bowling games in the past. First you determine the power with a button press, then aim the shot with a second button press, and the third button to determine spin. As mechanically sound as it is, the physics are a little wonky; in real bowling you will not get strikes regularly through bowling straight and without spin. Here, though, I never felt the need to bother with spin much. You can, of course, aim your shot to the side a little and then add spin in, also but again straight shots worked best for me in most modes. There are six characters to pick from. We have Aiden, a boy who seems to be the main character of the game for some reason. Chloe is a spoiled little girl, Lance a young man who just wants to have fun, Paris a beautiful young woman, Mina a high school girl, and Mr. Jenkins is a bear with a mysterious past who may or may not be a real bear. Each character has certain skills that they are better in. The skills are power, spin, and control. Each character can have their skills changed by changing their costumes which you can get by playing challenge mode or using in-game money. You will also have to level up to unlock the costume to buy. Again you level up by playing games. I found it very easy to get to the highest level and I did it pretty fast also but the costumes can be pricey so unlocking them all may take longer. You may also buy new balls for the characters to use. Each ball has its own stats also like its size and how much spin it has. 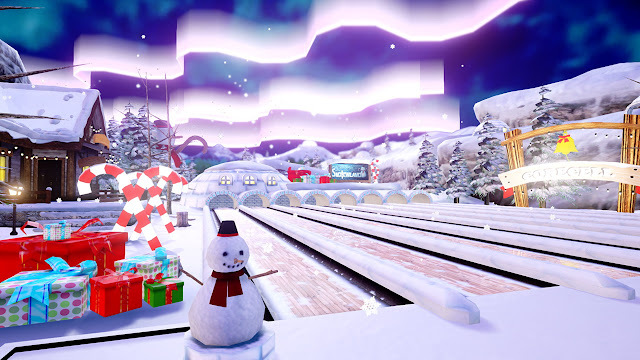 There are lots of things to unlock in the game; in addition to what I've outlined above, there are a bunch of bowling alleys you unlock. Each location is unique and ranges from a normal ally to a snowy land that reminds me of Christmas. I liked the different locations as they changed things up such as what the pins look like. An example of this would be on the snow level the pins will be painted like penguins. The game isn't the best looking graphically, but it gets the job done. The sound in the game is okay. The sounds and songs fit the alleys your playing on. A few times there would be no sounds of the pins being knocked down when the ball hit them but this doesn't happen often. I did find some of the characters voices to be annoying, though. Aiden is shrill, and irritating, and Chloe cries anytime she gets a gutter ball or misses pins. There are times where less is more and voice should only be used if it will actually add something to the game. 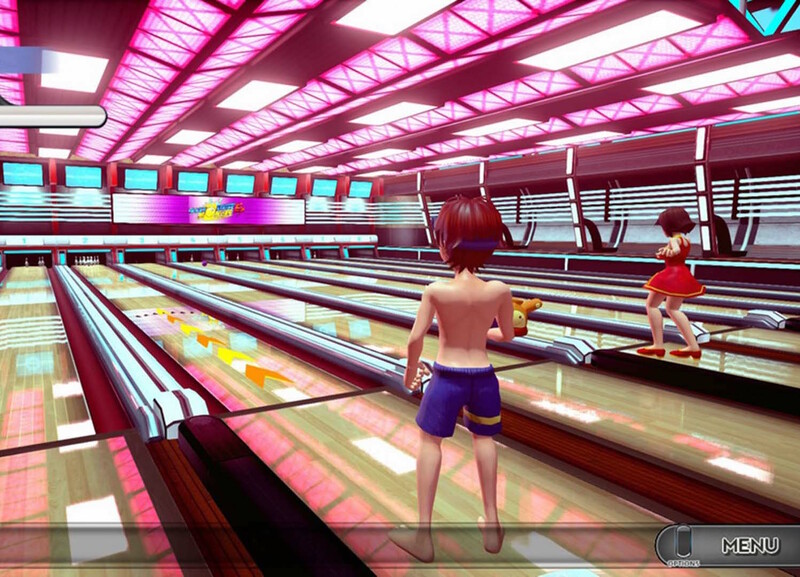 Crazy Strike Bowling is a fun little game but with a lack of features and online play, it's hard to recommend. It may be fun for younger kids or some local multiplayer fun, but the fun won't last long unless you can turn it into a drinking game. Mind you, if you can do that, you're set for a long time to come.